Don't take risks...be a rigger with a plan. Good crane operation and good rigging practices require having a plan and executing that plan for every lift. Practice good risk management by identifying, addressing, and controlling risks that may exist prior to, during, or after an overhead lift. Keep reading for more information about lifting and rigging best practices to help develop a lifting plan. 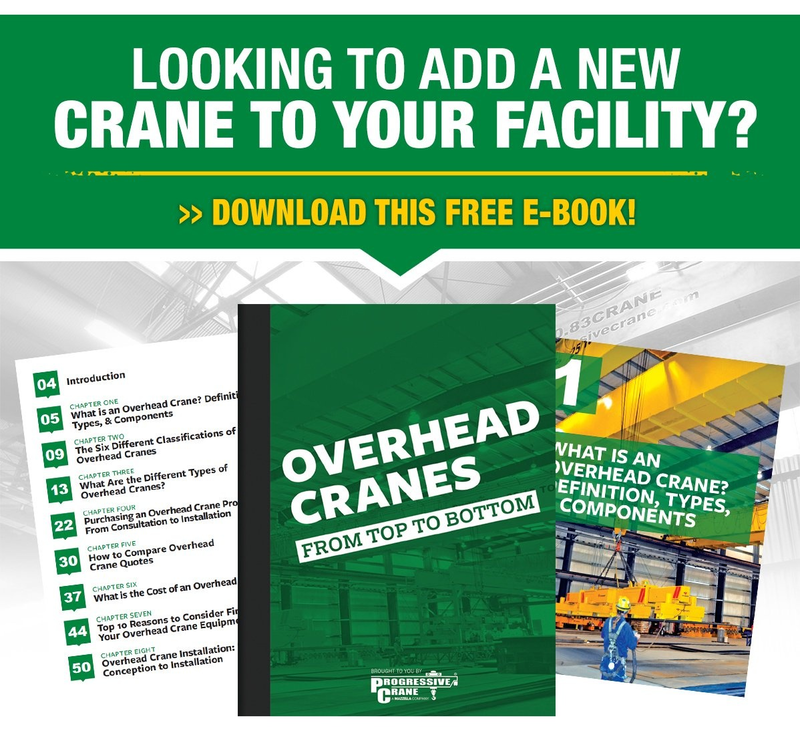 You can download our Lifting & Rigging Best Practices infographic, or download it in an 11x17 poster format to hang in your facility or use as part of a tool box talk. Who is responsible (Competent) for the rigging of the load? Who from your team has been authorized to remove a bad sling or piece of hardware from service? Who can then inspect that piece of rigging equipment and is Qualified to make the ultimate decision on if it can be put back into service or should be disposed of to prevent further use? Who is Certified to operate crane equipment on the job site? Ultimately, the onus is on the employer to determine which of their workers are Qualified, Competent, Designated, or Certified to perform the task at hand. Rigging hardware that will be used, must be inspected and free of deformation, cracks, stretch, excessive nicks or gouges, etc. Prior to each use, all types of lifting slings need to be inspected for damage or irregularities to help avoid costly downtime and help to keep everybody on the job site safe. Routine inspection should be looked at as an investment that, over time, will help keep valuable equipment running and keep workers safe. Working Load Limit (WLL) is the maximum mass or force which the product is authorized to support in a particular service. When determining the WLL needed, all components, including shackles, turnbuckles and hook must be made from the same strength materials with equal WLL ratings. The WLL is only as good as its weakest, or lowest WLL components—which is why it's essential to ensure that all components in a particular configuration match the duty required for the job. The total weight of the load needs to be known prior to the lift. Make sure to include the known weight of the load—plus, all slings, hardware, and below-the-hook devices like lifting beams, spreader bars, c-hooks, magnets, etc. A rigger must decide the best sling type and best sling hitch type to use for the task at hand. The goal is to have proper support and connection to the load. Vertical Hitch – One end of the sling is attached to the hook, while the other end is attached directly to the load. When a sling is used in a vertical hitch, the full lifting capacity of the sling material can be utilized. Choker Hitch – The sling passes through one end around the load, while the other end is placed on the hook. Or, you can add a block of wood between the hitch and the load to improve grip and angle of the choke. Basket Hitch – The sling cradles the load while both eyes are attached overhead. More than one sling may be necessary to help ensure load control. Make sure that the load is secure and properly supported. Check the area surrounding the load to make sure it won’t get snagged or caught on any nearby obstructions when being lifted, moved, or lowered. Perform a Job Site Analysis (JSA) to identify any potential hazards. After a hazard is identified, a determination should be made on how to control or eliminate the hazard altogether. The sling angle must be taken into account when determining the proper sling and angles used to make an overhead lift (90°, 60°, 45°, 30°). The smaller the angle, the less load a sling can carry. Always check your rigging chart to understand the capacity of the sling you’re using at any given angle. The Center of Gravity (COG) is the point at which the load is balanced—where the horizontal and vertical balance points intersect. The Center of Gravity should be directly below the load hook and the connection to the load right above center of gravity. Where will you and your co-workers be standing when the load is up in the air? Never stand under a load or in close proximity to a load when it is being lifted, moved, or lowered. Slings must be protected from cutting or damage. Failure of any sling from cutting or abrasion is preventable. Use corner pads, guards, and sleeves to protect against cutting and abrasion for all types of lifting slings. ALL slings must be protected from corners, protrusions, rough surfaces, and in some cases—where used with hardware. Best practice is to add protection on all edges on the load—including those that are not the primary load-bearing areas. Missing sling tags or missing markings/identification on rigging products is one of the most common problems our rigging inspection group finds when they’re out in the field. Please Note: It is always the responsibility of the end user or other designated or qualified person to inspect their rigging equipment and make sure that it is in proper working condition and rated for the specific task, prior to performing a lift. We also offer lifting and rigging training and we have a team of certified rigging inspectors who can come onsite the perform an annual rigging inspection and provide you with required documentation for your records. If you have any questions about rigging equipment, products for your lifting application, inspection of your rigging gear, or rigging best practices, contact one of our Lifting Specialists today! Previous Article Why Pay for Lifting and Rigging Training When You Can Get it for Free?